The market may have mustered a gain last week, but it was anything but a decisive victory. The indices didn’t clear some key technical resistance, and once again the volume supporting the advance was feeble. This whole thing could still crumble easily enough…ultimately proving it’s not the initial bullish effort that matters, but the one that will carry stocks over the proverbial hump. Traders are mostly waiting on earnings season to begin in earnest, which could prove very good, or very bad, for stocks. We’ll dissect the indecision below, as always, after a run-down of last week’s economic news and a preview of what’s on the dance card for this week. 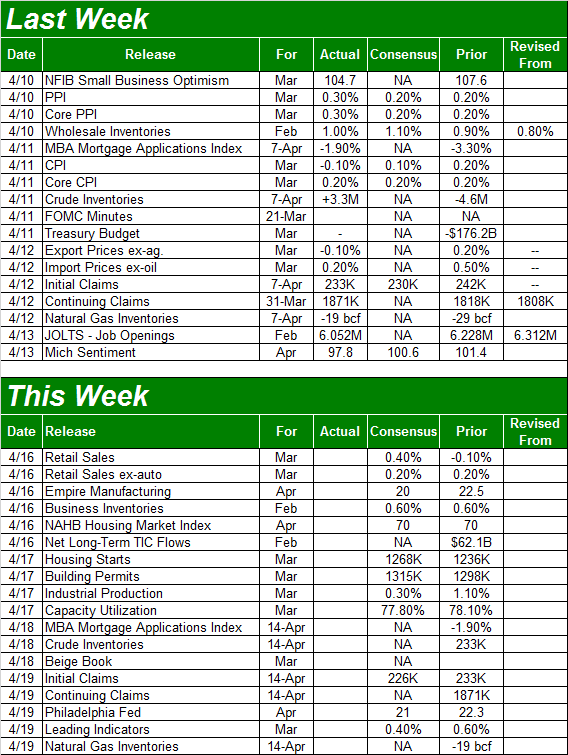 A relatively light week last week in terms of economic information, with the highlight being inflation. As has been the case for a while, we have some, though not an overwhelming amount (and producers have even less). It’s a nice “not too hot, not too cold” balance that the Fed seems to understand it has to maintain. The “annualized inflation rate” now stands at a palatable 2.36%. No need to chart is, but the Job Openings and Labor Turnover Survey (“JOLTS”) reading for showed 6.05 million open positions, down from 6.22 million in January. It doesn’t mean a lot; both are still sky-high readings. And, February’s numbers may have been stifled by inclement weather. 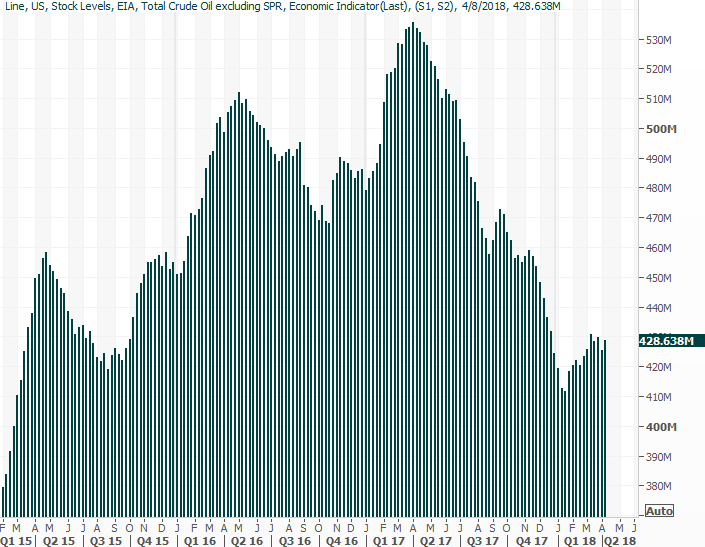 Also note that crude oil inventory levels edged a little higher a week ago, after a modest lull the prior week. It’s still not clear which direction the trend is presently pointed. This week will be a little busier, and a lot more important. The party starts on Monday with March’s retail sales figures. 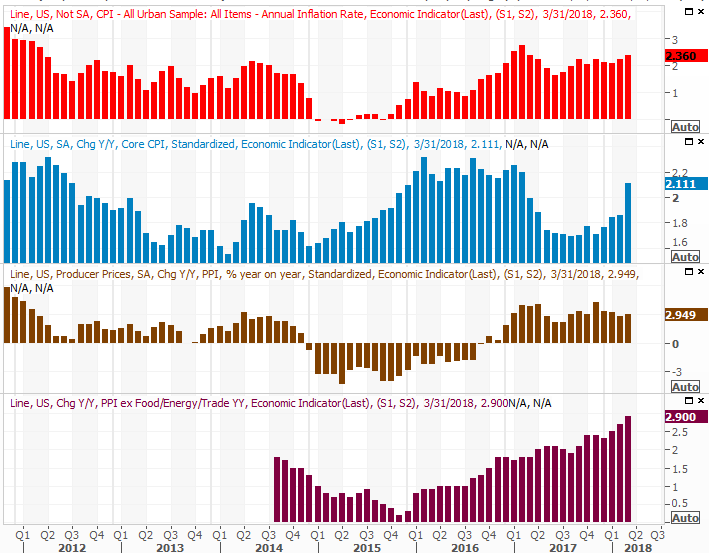 The pros are calling for healthy gains, and even more so when factoring in last month’s auto sales (which we already know were quite strong). Economists expect a 0.4% uptick from February’s pace. Whatever’s in the cards, the bigger trend is pretty strong, and strengthening. Weekly Market Outlook – On The Verge Of A Bigger Pullback?